Hi Friends! As we are now in the month of February, I can't help but want to create "Valentine" themed cards and projects. Do you feel the same way? The card I'm sharing with you today is one that I designed for the "Leaders Project Sheet" group I belong to. I had a lot of fun making this card and I hope you enjoy the tutorial! Fold Smoky Slate in half to create card base. 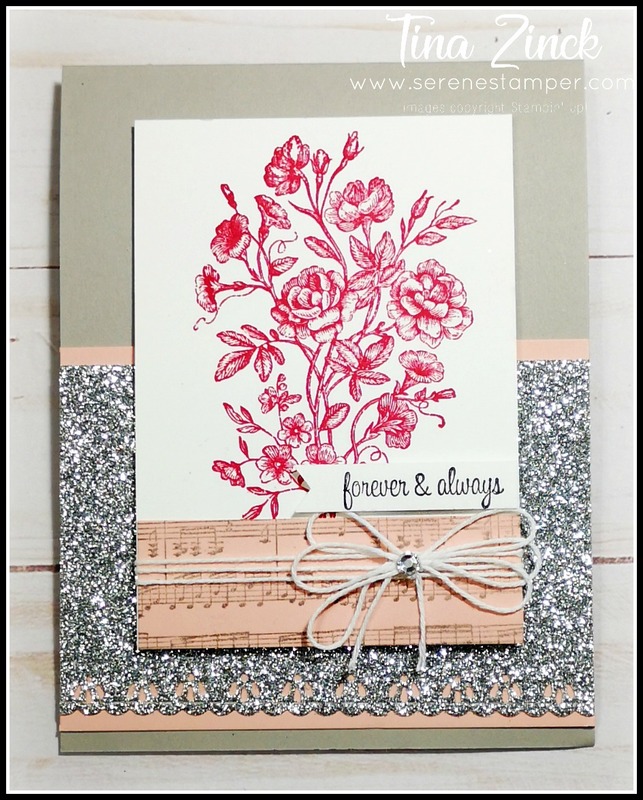 Use border dies from “Be Mine Stitched Framelits” along 4 ¼” side of the Silver Glimmer Paper. Glue Powder Pink card stock strip along top and bottom of Silver Glimmer paper and adhere to bottom portion of card base. 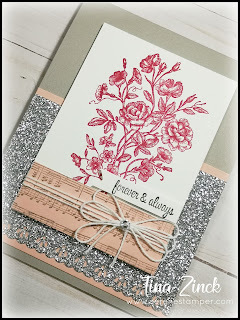 Stamp flower image from “Very Vintage” set onto Whisper White layer using Lovely Lipstick ink. 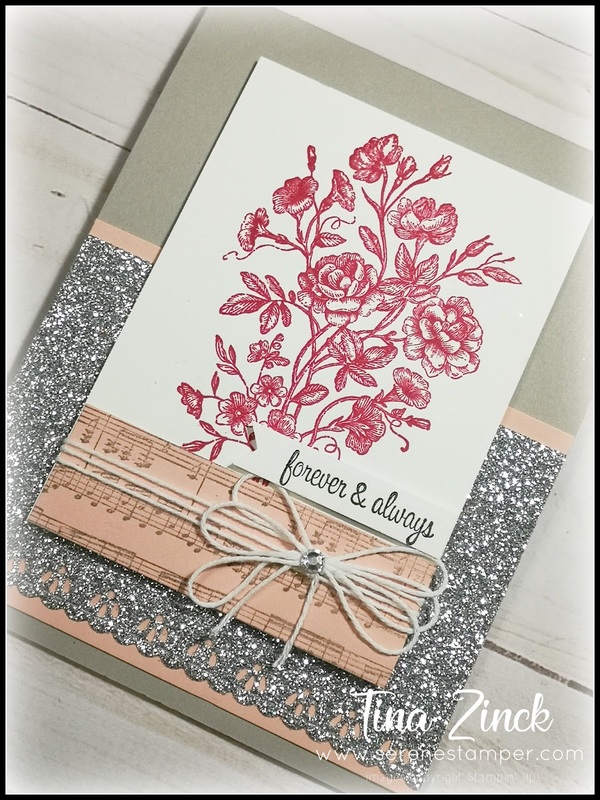 Stamp sheet music with Smoky Slate on 3” x 1” Powder Pink card stock and glue to Whisper White layer. Wrap twine around, securing in back. Add a bow with a glue dot and place a rhinestone in centre. 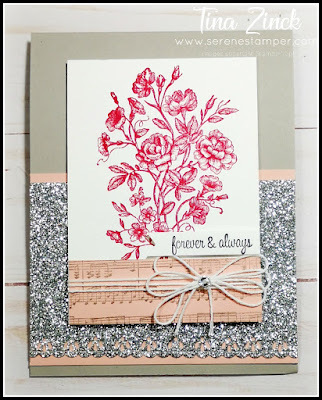 Adhere to card with Stampin' Dimensionals. Stamp sentiment from “Itty Bitty Greetings” with Stazon onto 2 ½” x ½” Whisper White card stock. Cut and flag with Classic Label Punch. Place on card with dimensionals.